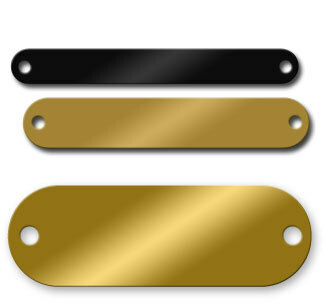 Engraver's grade quality, these .020" thick brass round end rectangle tags come in a variety of sizes to meet the needs of a variety of projects. Pre-drilled with two 1/8" holes, ready to be attached to your finished project. Available in Gold Satin and Black Coated Brass. When engraved, the black coated brass reveals the natural brass color.